View our inventory and book your next round today! Join out e-mail list to receive exclusive deals and course news! Request information about Tournaments, Outings and Banquets here! Welcome to Valley View Golf Club. Our course is located northeast of Lancaster in South Central, Ohio. On our grounds you will find scenic landscapes and rolling hills. In addition to a fantastic on-course experience, at Valley View Golf Club you will also find membership opportunities, golf instruction, tournament hosting and much more. We have a great love for the game of golf, and we are honored to have a chance to share it with you! Lancaster, OH Golf at its Finest! 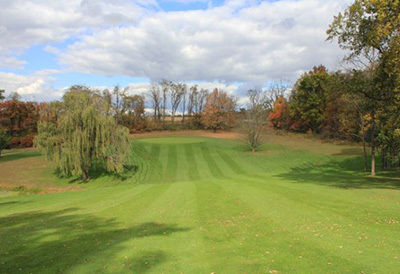 Valley View Golf Club's layout is a mens par 71 and a ladies par 74. Mens yardage is 6,241 from the white tees, with a slope of 118 and a rating of 69.4. Our course is open from 7 a.m. to dark. If you'd like to play earlier than 7 a.m., please call the day before and we'll try to accomodate you!